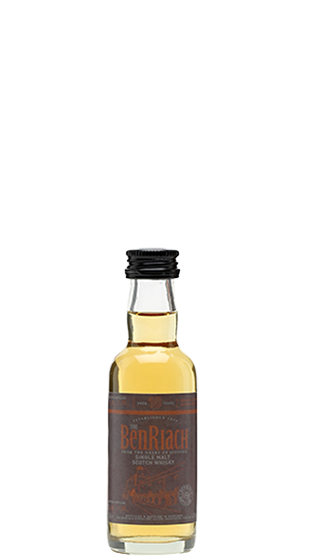 Tasting Note: A miniature bottle of Benriach 10 Year Old. A milestone release, this was the first core expression comprising spirit produced predominantly since the 2004 takeover by Billy Walker and his consortium. A classic Speyside whisky.